The all-rounder for hot & cold dishes. Fine dining in your own home. Perfect for hot and cold dishes, this exotic all-rounder puts olive oil to shame. Lauric acid provides heat stability to avoid the formation of trans fats under high temperatures. MTCs immediately supply you with energy, instead of making you tired. Also good to know: Organic coconut oil is a true all-rounder when it comes to skin and haircare. 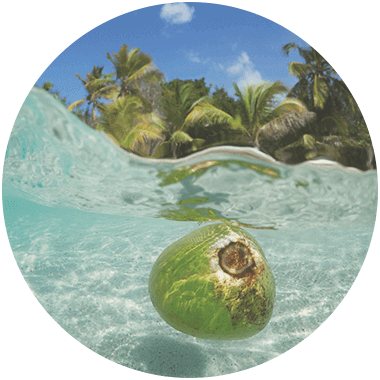 The coconuts for our oil are picked exclusively by hand by small-scale farmers in the Philippines. They pick only the finest ripe coconuts with the help of ropes and bamboo sticks. The coconut meat is then removed by hand, grated, dried under moderate temperatures and cold pressed. And that's how our organic coconut oil in raw food quality comes to be. Thinking outside of the box when it comes to responsibility. When you buy a product, you want the highest quality and maximised benefits. Our organic coconut oil meets these requirements with ease. Particularly important to us: In harmony with man and nature. 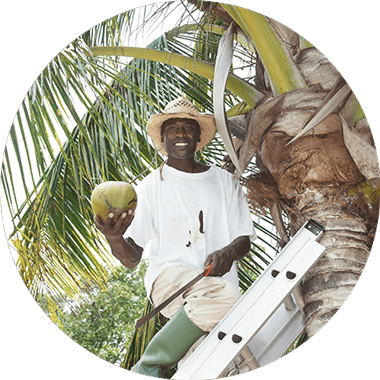 Coconut farmers often live on the breadline, with difficult economic and social situations at production sites. In order to increase the yield and maintain low prices, pesticides are often used. We do not want to support this. That's why we use organically farmed, fair trade coconuts. Perfect value for money for everyone involved. Perfect all round. Inside and out. Coconut oil can be used very sparingly, 1 tsp. or just a pinch is usually enough. 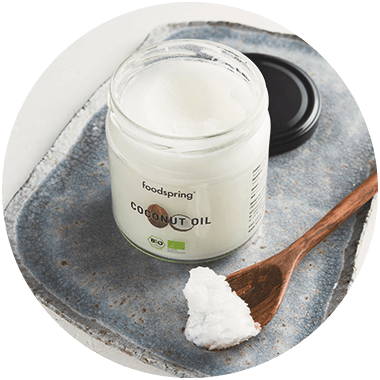 Coconut oil begins to melt at about 28 °C and can be stored at room temperature for baking and frying. 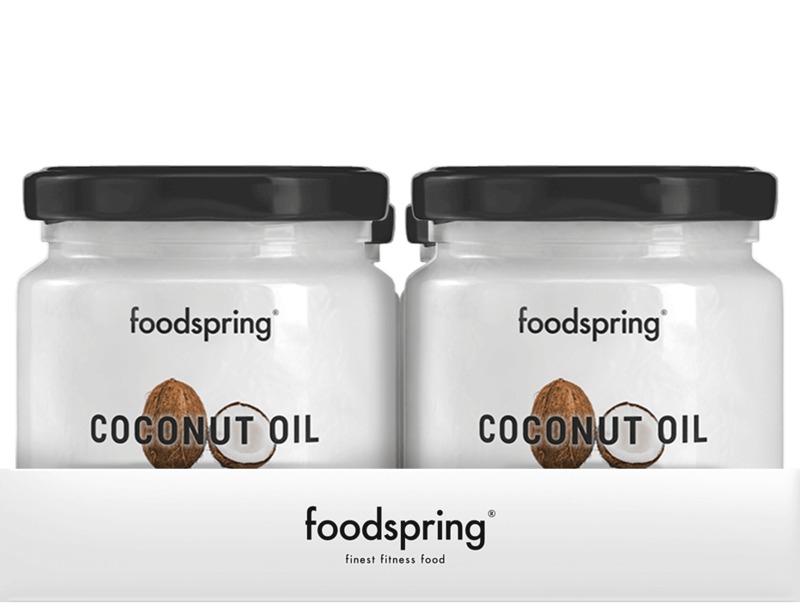 This gives coconut oil a spreadable almost liquid consistency, making it extremely easy to measure out. When frying, organic coconut oil remains stable up to 200 °C. Heating the oil above 200 °C can have an adverse effect on the quality of the oil and should be avoided. Perfect for cooking and baking healthy recipes! I use this coconut oil nearly every day. I use it as non-stick oil in my frying pans, I use it in banana bread and other baked goods, and I even put it on top of toast. It tastes great, and has a smooth consistency. I highly recommend. Coconut Oil 4-Pack will be back in stock shortly.